Newton-Everett Nutraceuticals has formulated the highest potency joint support product on the market today. 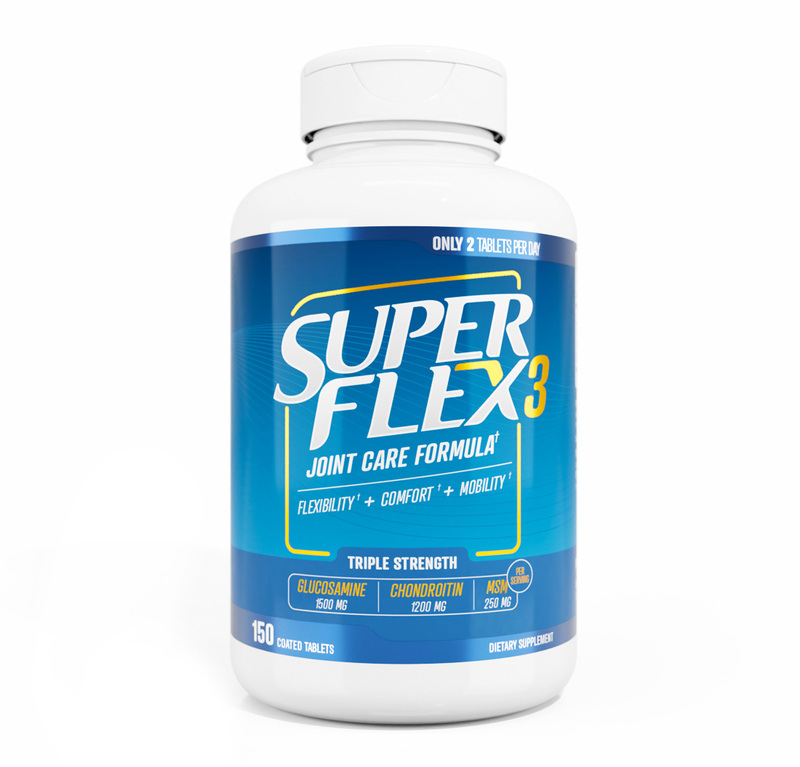 Research strength levels of the top three joint support nutrients, Glucosamine, Chondroitin, and MSM, have been combined for total joint health, including cartilage and tissue support and enhanced mobility. Try it and discover why millions of people rely on these nutrients for joint support. Arthritis is a degenerative joint disease that causes pain, inflammation and limited joint movement. In osteoarthritis the joint that is affected has degenerated cartilage. As this is the cushion between the joints, one gets bone rubbing against bone and thus pain, inflammation and lack of mobility follows. Up until now the only relief from this pain was by way of treatment with nonsteroidal anti-inflammatory drugs (e.g. brufen, orudis) or by injection with steroids (e.g. cortisone). However, these only mask the symptoms and relieve the pain, and the disease continues to get worse. Thus, the spiral continues increasing the dose as the pain worsens. However here we create another problem as these drugs have deleterious side effects and may in fact cause certain features of osteoarthritis to progress faster. Thus over the years the only relieve that may be obtained is by joint replaced by your surgeon. Even with artificial joints, the problem is not solved as these too have a finite life and will have to be replaced further down the track. In the last few years, excellent results have however best achieved with a combination of natural nutritional supplements. In many cases these have been able to slow and eventually eliminate disease. This approach includes a combination of glucosamine and chrondroiton sulphate and MSM. These are substances we already consume and are produced in small amounts in our bodies and as such have no known side effects. There has been extensive study done on them, which has proved that both glucosamine and chondroitan and MSM work. Firstly healthy cartilage needs three things: water for lubrication and nourishment, proteoglycans to attract and hold the water, and collagen to keep the proteoglycans in place. Glucosamine is a major building block of the water – loving proteoglycans. Besides being a building block for the synthesis of proteoglycans, its mere presence acts as a stimulus to the cells that produce proteoglycans – in fact glucosamine is a key factor in determining how many proteoglycans are produced by the cells. Thus because of the affect of glucosamine on cartilage metabolism it can in fact help the body to repair damaged or eroded cartilage. In other words, glucosamine strengthens your body’s natural repair mechanisms. Besides stimulating cartilage production, glucosamine also reduces joint pain and inflammation. Where glucosamine helps form the proteoglycans that sit within the space in the cartilage, chrondroiton sulphate acts like ‘liquid magnets’. Chrondroiton is a long chain of repeating nigans that attracts fluid into the proteoglycan molecules. The fluid acts as a spongy shock absorber. The fluid sweeps the nutrients into the cartilage. Joint cartilage has no blood supply thus all of its nourishment and lubrication comes from the fluid that ebbs and flows as pressure is applied and released to the joint. Without this fluid, cartilage would become malnourished, drier, thinner and more fragile. Chrondoiton Sulphate is a long chain molecule with a negative charge attached to it. As these chains wrap around proteoglycans they repel each other and thus create spaces between each proteoglycan. These are what are known as matrixes within the cartilage and this is where the fluid flows. There may be as many as 10,000 of these chains on a single proteoglycan molecule – thus we have a super water retainer as these chains make sure all these molecules are away from each other and cannot clump together. Besides drawing in precious fluid, chrondroiton: Protects cartilage and stops it from breaking down and inhibits certain ‘cartilage chewing’ enzymes interferes with the metabolism of other enzymes that will starve the cartilage of fluid stimulates production of proteoglycans, glucosamine and collagen. MSM is a naturally occurring nutrient and sulfur compound. Sulfur is a component of bones, teeth, and collagen (the protein in connective tissue) and also helps you maintain a healthy inflammatory response in joint tissue. The mineral sulfur is needed for the manufacture of many proteins, including those forming hair, muscles, and skin.